While the trade deadline is still over a month away, teams with holes to fill are already starting to sniff around some of the remains of teams that have all but fallen out of the race. The names of the impact bats that may be available this summer are beginning to dwindle due to injuries which will end up making the cost of the ones remaining climb. With the injury to Xavier Nady looking more grim the Yankees now can’t afford to part with a Nick Swisher and with the inevitable need for surgery for Adrian Beltre (bone spurs in his shoulder) along with a big price tag, teams will most likely be hesitant to pull the trigger and part with prospects. So who is it that teams are coveting? Matthew Whipps is a writer for Baseball Daily Digest. If you would like to contact him via email you can reach him at whipps15[at]gmail.com. How sad is it that when I saw the headline of “Cubs’ Soto tested positive for marijuana” on ESPN I was relieved? I mean, it’s not a performance enhancing drug right? MLB does not regularly test for marijuana since it’s not considered a performance-enhancing drug, according to a players association spokesman interviewed by Levine. Great. Another proud day for Major League Baseball. 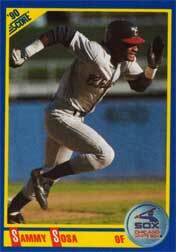 Soriano needs to move from the leadoff spot (team doster/Flickr). Just like every year, the Chicago Cubs have had very high expectations from both the organization and its fans. They went out and made the moves they thought would be the deciding factors in the NL Central. The fact of the matter is the Cubs have underachieved greatly here in 2009 in a division that is begging for someone to take command. As it stands on the morning of June 23, the Cubs are currently sitting alone in third place with a mediocre 34-32 record, a mere 2.5 games out of first place. The playoffs are hardly out of reach but at this point, it should hardly be their main concern. 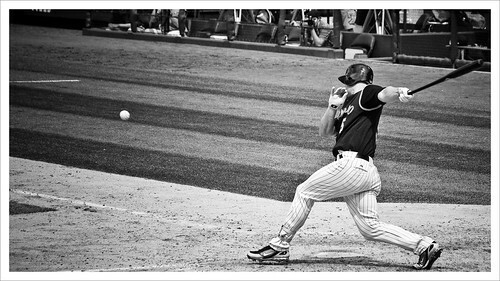 Pujols drops another bomb on his opponents (SD Dirk/Flickr). I know that wasn’t the classiest title to a blog post, but hopefully you got a bit of a chuckle. But in all seriousness, this is a major issue for the Cardinals and could cost them more than just a few at-bats. Heading into Friday’s games, baseball’s best hitter Albert Pujols had walked 51 times on the season which was good for third in all of baseball. Very understandable as not only do teams like to pitch around him whenever possible, he also has an incredible eye at the plate. Now where the problem comes in for the Cardinals is in his intentional walks category. Atlanta Braves third baseman Chipper Jones has been walked intentionally nine times here in 2009 which is good for second in the majors. Albert Pujols on the other hand has been walked 21 times. 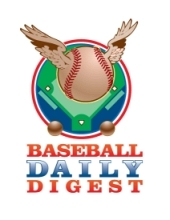 In case anyone missed the announcement last week, I am back writing at Baseball Daily Digest again after almost a year off. I am proud and excited to be back with one of the most popular and respected baseball sites on the Internet. I couldn’t be more excited to be back writing with such big industry names as Geoff Young, Bill Chuck, Bill Baer and of course the big boss, Joe Hamrahi. The past couple of days BDD (Baseball Daily Digest) has been changing servers and had occasional interruptions in their site. Because of this I wanted to give you a quick recap of some of the bigger articles I wrote for them over the past week. I will always let you know when there is a new BDD content up written by me on here as well as if you follow me on Twitter. This week’s lineup was full of breaking down players, both statistically and mechanically, and seeing just why they were either succeeding or failing compared to their expectations. The Adam Jones Diaries – This article takes a look at the sudden explosion of Adam Jones and if this is just a hot start or if he can continue on this torrid pace. The Wright Way – This article analyzes just what is going on with David Wright and his missing power. I take a detailed look at his statistics and exactly what they mean for the third baseman. The Mysterious Disappearing Joba – This article breaks down Joba Chamberlain with the help of PitchF/X and exactly what happened to the dominating fireballer and if he is already on the decline in his young career. After spending the entire season near the top of the very strong American League East despite numerous pitching injuries, the Toronto Blue Jays now find themselves with their worst injury possible. The news came out today that their ace and definite Cy Young contender Roy Halladay will be placed on the 15-day DL (retroactive to June 13). Halladay left his last start against the Marlins after only three innings with a right groin strain. He tried to throw in a bullpen session this afternoon but still felt tightness and it was decided to shut him down until the end of the month. This is the worst possible injury the Jays could get tagged with. After a strong 27-14 start, they have faded quickly going 8-17 since. Halladay has been their constant through it all going 10-1 this season with 103 innings pitched (both AL leads) and is ranked fifth with both 88 strikeouts and a 2.53 ERA. If this news wasn’t bad enough, the Blue Jays also announced today they would be putting their closer, Scott Downs, on the 15-day DL with a sprained big toe. Downs has done a fantastic job since taking over the closer role from the injury-plagued and struggling BJ Ryan earlier this season. Downs is 1-0 with a 1.98 ERA and eight saves. In a division that has been dominated for years by Boston and New York, it has been refreshing to see the emergence of teams like the Rays and Blue Jays as well as seeing the Orioles begin to get stronger. Hopefully the Jays can keep themselves in the race until Halladay comes back and give the other top teams a run for their money. · Ivan Rodriguez passed Carlton Fisk on the all-time list for games caught with number 2,227 today in Texas. A huge congratulations to Pudge for this great accomplishment. · Veteran righty John Smoltz will finally make his highly anticipated debut with the Red Sox on June 25 against the Washington Nationals. What a huge addition to any rotation this is. I bet the Braves are kicking themselves with how good he’s looked in his rehab starts. Nope, that's Sammy Sosa, not an 8-year old girl. According to a report on the New York Times website, former major league hitter Sammy Sosa tested positive for a performance-enhancing drug back in 2003. Apparently Sosa is one of the infamous 104 players who tested positive on an “anonymous” survey in ’03. Really is anybody shocked by this? Because if you are, you are a bit delusional and I have some magic beans to sell you. Any one who collected baseball cards in the early 90’s knows how Sosa looked in his 1990 rookie cards and then how he looked shortly after that. Now I would in no way, shape or form accuse someone of taking PEDs without some evidence (I think writers everywhere learned that lesson with the whole Raul Ibanez ordeal), but I think this one was pretty obvious. Bottom line is these weren’t banned in baseball back then so tons of people used them. It’s a fact. Just like people are still using them now even though they are illegal in baseball and, oh yeah, ILLEGAL IN THE UNITED STATES OF AMERICA. I think it’s funny how that part gets overlooked all the time. You are currently browsing the The Diamond Cutter blog archives for June, 2009.